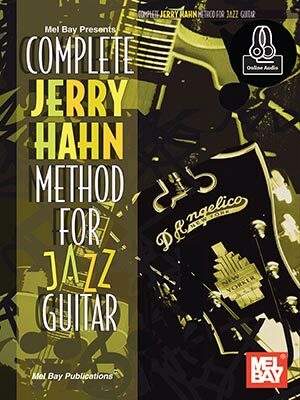 This jazz guitar book is a compilation of three books formerly published as Volume 1 - Scales and Exercises, Volume 2 - Patterns and Solos and Volume 3 - Improvisation Course and Chord Studies. This comprehensive edition covers all of the facets of jazz guitar study including all of the primary scales and arpeggios in five positions. There are several exercises to help increase technical facility including an excellent cross-picking exercise. Also there is a large single line section that includes jazz vocabulary and ideas to be played over certain chords and progressions. Learning and memorizing these single line studies expands the student's improvisational concepts and technique. The chord section includes the primary chord forms found in jazz and contemporary music as well as examples of turn-arounds, variations on twelve bar blues, and modal comping. The harmonized bass line section has four chord studies in a Freddie Green style. The mprovisation Course is a unique systematic approach to teaching improvisation. It consists of four lessons that has the student write out solos (with out an instrument) utilizing certain rules. The material in this book will provide a solid foundation for the aspiring jazz guitar student and has been used as the primary text for the jazz guitar programs at Portland State University and Wichita State University. Audio download available online.